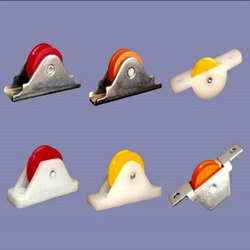 We are a leading Manufacturer of aluminium sliding window bearings from Mumbai, India. By keeping in mind the track of advanced market development, we are engaged in offering an exclusive range of Aluminium Sliding Window Bearings. Mainly used to install in windows, these bearings are made available in numerous specifications that are designed using the latest technology. Apart from this, our clients can avail these bearings from us at market leading prices. These bearings are broadly acknowledged among our clients for their optimum quality, fine finish, and durability.